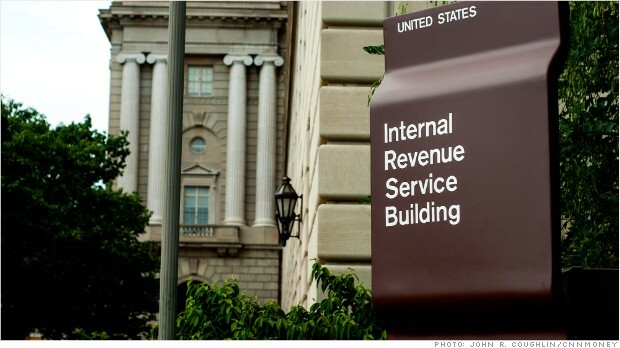 (CNN) - An IRS employee has been suspended for "repeatedly" trying to convince callers to a customer service help line to re-elect President Barack Obama in 2012. The Office of Special Counsel, which handles whistle blower complaints, said the employee, whose name was not released, delivered a "chant based on the spelling of the employee's last name." The agency said the "employee acknowledged that he had used his authority and influence as an IRS customer service representative for a political purpose and did so while at work." He agreed to a 100-day unpaid suspension for violating a law that prohibits federal employees from engaging in political activities, like fund-raising or promoting candidates. The IRS has come under fire for its past targeting of conservative groups in assessing their applications for tax-exempt status. The rouge employees do exist! Oh sweet baby jesus......here we go again. Some guy does something somewhere on his own and now it will all be some huge "conspiracy" directed by the Whitehouse. He did it. He admit it to it. And took his punishment. Personally I admire his enthusiasm and wish to THANK HIM for his efforts on behalf of the President!! Oh the HORROR!! THE HORROR!!!! Not a smidgen of corruption !!! You just cant make this stuff up. What will the excuse by Obambi be this time ??? Bush ?? the House ?? a video?? You can keep your doctor, and these are the people who are going to handle Obumble care ??? Just another FAILURE by this admin. Better get Issa on the case, PRONTO!!!!! So one single individual admitted to behaving inappropriately, and somehow that's irrefutable proof of corruption throughout the entire department. Liberal and progressive groups were ALSO targeted, yet the so-called 'librul' media never addresses THAT, much less the fact that liberal and progressive groups were actually denied tax exempt status. That being said, the IRS should have taken the necessary steps to terminate the individual in question instead of giving them a 100-day unpaid vacation. "Personally I admire his enthusiasm and wish to THANK HIM for his efforts on behalf of the President!!" Something tells me if he was touting a repub you would not be thanking him but would be vilifying him. This is the IRS. No Bueno. Take a step back and think about that again. There is no way you would stand for it had this been during the Bush years. "What will the excuse by Obambi be this time ??? " He doesn't need one. This is an employee essentially off on frolic and detour, doing things he clearly wasn't supposed to be doing, knew he wasn't supposed to be doing and did on his own anyway. Would it be directly Obama's fault if someone just randomly decided to take a dump in the middle of an IRS office? No. Your rant is absurd. But yeah, what a weirdo that guy is. Irs another low life dirty trick for your enjoyment . One of many we cant keep up make a note to make a note . Sad . This is not a Dem or Rep. issue. No one in the IRS should be promoting anyone! Another job for Darrell Issa ! Rick Perry is actually the smartest guy in the room when he's alone ! When serving the public politics shouldn't even enter the conversation.Either the IRS lacks serious public service training, or they need to be working somewhere else. this story is nothing but a bunch of baloney created by the GOP! No not a smidgen of corruption. Just the corruption rwnj like yourself will drum up. I think this guy is a patriot, because if romney had won America would be referred to as a developing country(thirdworld country) today. this guy opted to keep America the most powerful nation on earth.